selected in the title screen. about 25 Euros, and they aren't too great. There's also a normal 2D mode. version are included) within the time limit. and score are awarded after each level. WARP tiles speed the game up - a bit! 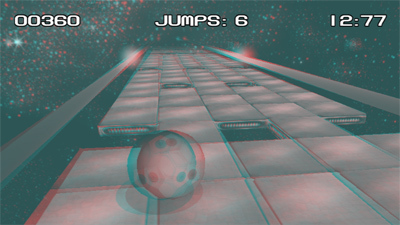 In the anaglyph modes, these colours are replaced by symbols. (c) 2014 by Nuance, Genesis Project and Digital Demolition Krew.